The Kushner Companies has finally struck a deal to get the building that was supposed to be the centerpiece of its portfolio, but instead had weighed it down for years, off its hands. Brookfield Properties announced Friday afternoon that it has acquired a 100% leasehold interest in the building, a 1.5 million square foot property at 666 Fifth Avenue in Manhattan, for 99 years through one of its funds. The financial terms of the agreement were not disclosed. Brookfield, which has major real estate holdings around the world, said it's planning a significant redevelopment of the building. The Kushners bought the Fifth Avenue skyscraper in 2007 for a then-record $1.8 billion. It was supposed to have been the crown jewel of their real estate empire, and Jared Kushner, the president's son-in-law and a senior White House adviser, played a prominent role in the deal. But the property didn't bring in as much revenue as expected, making it difficult to repay loans on the building. The building carries $1.4 billion in debt, the bulk of which comes due in February 2019. Jared Kushner divested his equity interest in the building when he took his current role at the White House. Kushner Companies and Brookfield declined to comment. 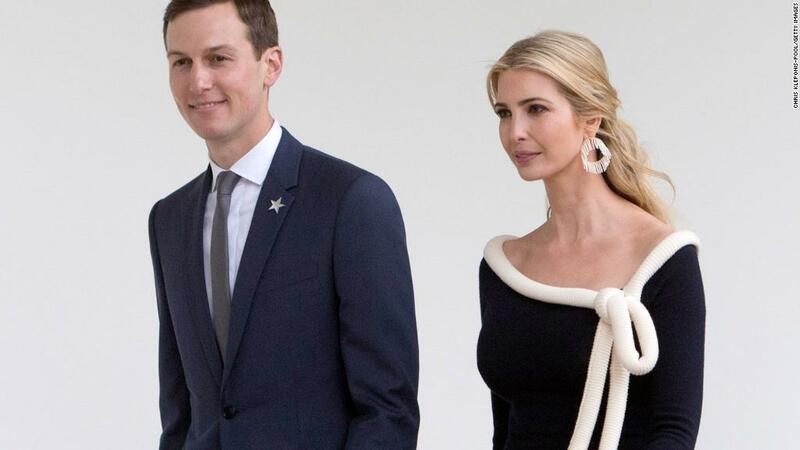 CNN previously reported in February that Special Counsel Robert Mueller's investigators were looking into Kushner's efforts to shore up financing for 666 Fifth Avenue during the presidential transition, according to people familiar with the special counsel investigation. One line of questioning from Mueller's team involved discussions Kushner had with Chinese investors, according to the sources familiar with the inquiry. A week after Trump's election, Kushner met with the chairman and other executives of Anbang Insurance, the Chinese conglomerate that bought the Waldorf Astoria in 2014, according to The New York Times. At the time, Kushner and Anbang's chairman, Wu Xiaohui, were close to finishing a deal for the Chinese insurer to invest in 666 Fifth Avenue. Talks between the two companies collapsed a few months later, according to the Times. Mueller's team also asked about Kushner's dealings with a Qatari investor regarding the same property, according to one of the sources. Kushner and his company were negotiating for financing from a prominent Qatari investor, former prime minister Hamad bin Jassim Al Thani, according to The Intercept. But as with Anbang, these efforts stalled. In February, Kushner attorney Abbe Lowell said in a statement, "Another anonymous source with questionable motives now contradicts the facts — in all of Mr. Kushner's extensive cooperation with all inquiries, there has not been a single question asked nor document sought on the 666 building or Kushner Co. deals. Nor would there be any reason to question these regular business transactions." The 666 Fifth Avenue purchase in 2007 was supposed to be a big break for Kushner Companies, which has roots buying middle-income housing in the tri-state area. But it came under financial pressure during the housing crisis. In 2011, Vornado Realty Trust stepped in with financing, taking on a 49.5% stake in the building. Vornado agreed to sell its stake back to Kushner Companies in June. Charles Kushner, Jared's father, told CNN in April that his son expressed reservations about buying the office tower. "I pushed Jared to do the deal," Charles said. In the interview, the elder Kushner called the decision to purchase the property "bad timing and bad judgment."